Electric scooters are everywhere, and you might be wondering about their names. Why is one called Lime, and another called Spin? Which names are best suited to this new breed of transportation? 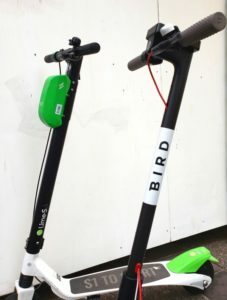 This electric scooter name roundup from Catchword takes a look at the current crop of e-scooter names. Which one is your favorite?